South Wilts’ opener Tom Morton led from the front as Wiltshire celebrated a T20 warm-up double victory over Dorset at chilly Bemerton. He hit 48 and shared a century opening stand with Neil Clark (65) as Wiltshire polished off Dorset’s 120-7 to win the opening match by eight wickets with 16 balls to spare. Then scored 78 as Wiltshire posted 149-9 before restricting Dorset’s second knock to 121-8 and give the hosts a 28-run win. Wiltshire won by eight wickets. Wiltshire won by 28 runs. Tickets are now available (from the Ageas Bowl) for the Isle of Wight Cricket Festival: Hampshire v Nottinghamshire Specsavers County Championship fixture on 20-23 May 2019. Newclose are offering a membership package that includes entry to all four days of the fixture, designated seating area, access to the Members marquee and discounts on the Hospitality package for the game. You will also get 10% off food and drinks from the pavilion for the rest of the season. All other advance ticket options are below purchased directly with Hampshire Cricket. Please read the terms and conditions of purchase and ground regulations prior to purchasing tickets. Three ECB Association of Cricket Officials Scorer Roadshows are taking place locally before the start of the Southern Premier and Hampshire League seasons. • An insight in to the Play Cricket suite of scoring applications. • Facts and figures about scoring via Play Cricket in 2018. • A look at the new scoring features in Play Cricket Scorer Pro version 2. • A chance to meet with other scorers from your area and talk scoring. This an exciting time for scorers and a great opportunity to come along and get involved we will also keep you up to date with the latest information relating to scoring so please register for your chosen event below. * Tuesday 30 April: 6.30-9pm at Lyndhurst Community Centre, Beech / Oak Rooms, Central Car Park, High Street, Lyndhurst SO43 7NY. * Wednesday 1 May: 6.30-9pm at Clanfield Sports and Community Centre, 2 Endal Way (off Green Lane), Clanfield PO8 0YF. 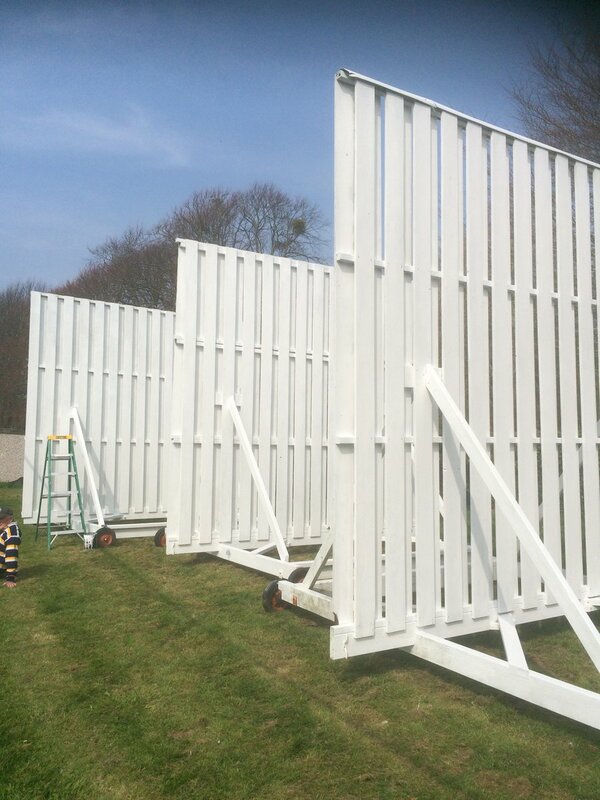 Lymington batsmen will have no excuses for missing a 'straight one' this summer after club members spent the NatWest Ground Force weekend splashing a fresh coat of white paint on the Sports Ground sightscreens ! But it will be another two Saturdays before cricket gets underway at the LSG, Lymington's second team, led this season by Adie Hunt, playing three of the first four home matches at the ground, starting against New Forest rivals Fawley on May 4. Matt Metcalfe will captain Lymington first team, whose solitary 'warm-up' fixture is against the Hampshire Academy on the Nursery Ground on April 27. The opening ECB Southern Premier Division match is at Havant. 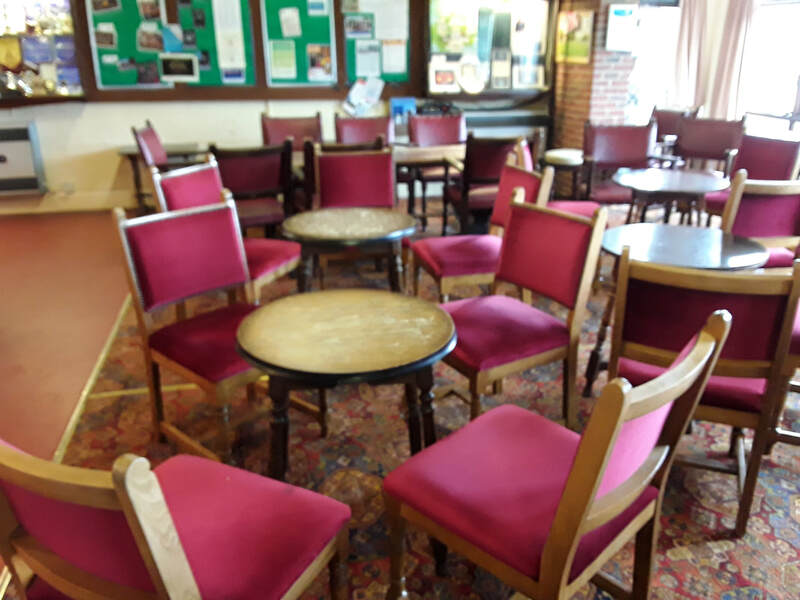 Lymington will shortly be announcing two significant signings, one 'old' player returning to the club and a teenager arriving next week from South Africa. Watch this space ! Havant were the best behaved club in Southern Premier League last season, their first and second teams achieving the top points overall in the Fair Play table compiled from weekly marks by South Coast panel umpires. Chris Stone’s first team averaged 19.88 points per match (out of 20), with Havant II (relegated to the Hampshire League this season) picking up 19.35 points per match and finishing top in SPL3 and ninth overall, out of 40. Lord’s Village Cup finalists Liphook & Ripsley (19.69) enjoyed the top marks in Division 1 (they too suffered relegation), with Langley Manor (19.69) best in SPL2. Basingstoke & North Hants (19.81) were second best in the ECB Premier Division, St Cross Symondians (19.65) fifth and the Hampshire Academy (19.63) sixth. At the opposite end of the scale, Purbrook’s overall mark was 16.44, a whole point per match lower than Paultons (17.44), Ventnor (17.65) and Lymington II (17.65). 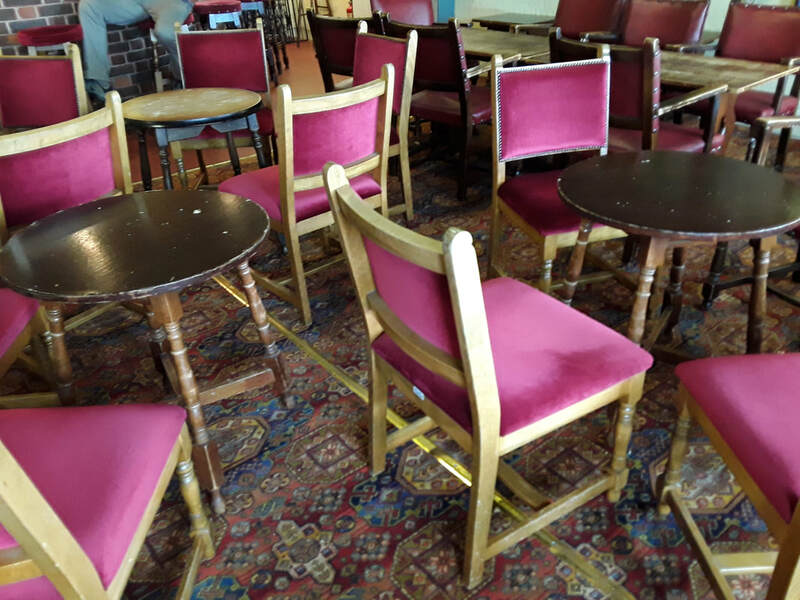 Havant are refurnishing their clubhouse and are looking to provide a good new home for most of the existing tables and chairs, all of which are in good condition, as the above photographs confirm. Hampshire prospect Tom Scriven produced a stunning man-of-the-match performance as his adopted Australian club Broadbeach Robina carried off the Gold Coast Kookaburra Cup with a six-wicket victory over minor premiers Alberton Ormeau. 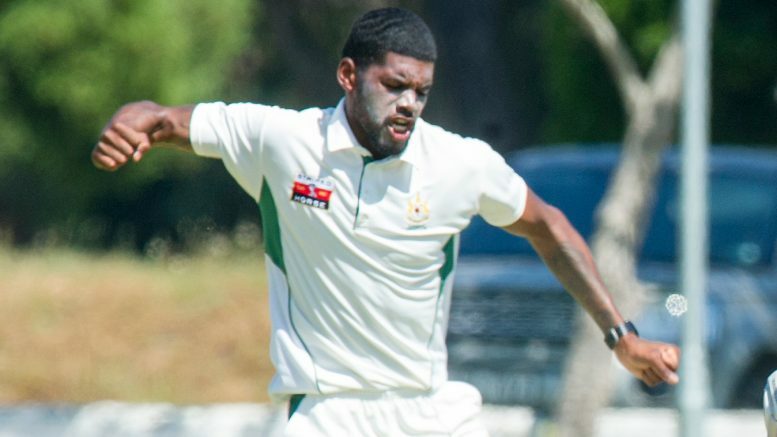 He returned a career-best 7-43 with the ball before hitting 32 as Broadbeach chiselled off the 119 runs they needed to win the trophy for the first time in eight years. Scriven’s spell was his fourth six-wicket plus return of the calendar year and took his tally of ‘poles’ to 41 for the season – no wonder the Queensland club has invited the West Ilsley youngster back again next winter ! The 2018 England Under-19 World Cup all-rounder is now on his way back to the UK, having also made 450-plus runs for Broadbeach. He will link up with Hampshire later this week. Left, Tom Cowley hits out, making a match winning an unbeaten 64 as South Wilts beat Grasshoppers by 17 runs in the Lord's semi-final. 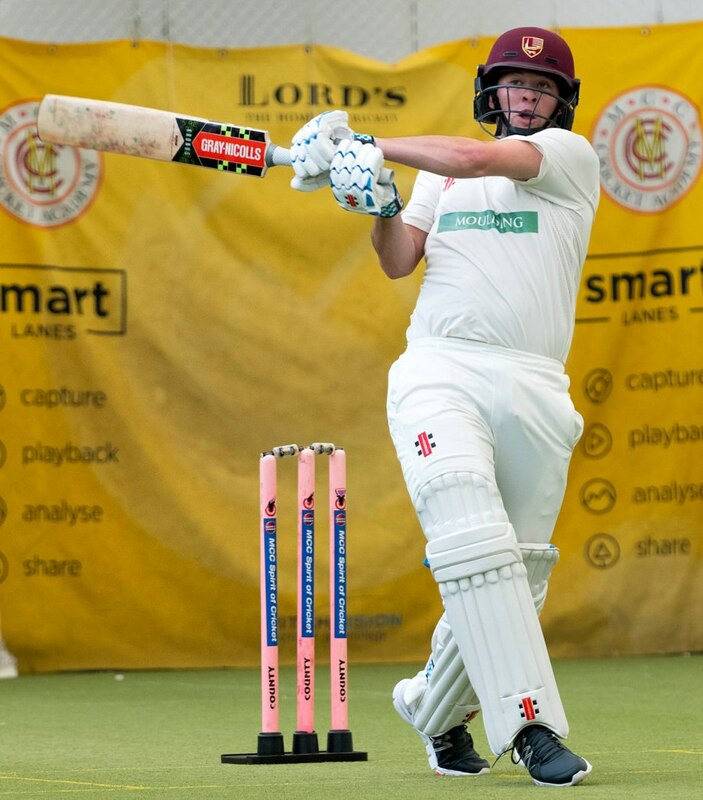 Above, Tom Pearce made runs in both the semi-final and final, scoring 38 against Grasshoppers and 28 off the Canterbury attack in the ECB national indoor sixes final. Sarah Williams pictures. South Wilts exited the Grace Gates with heads held high after finishing as losing finalists in the ECB indoor sixes championships at Lord’s. They arguably exceeded their own expectations by reaching the national final, but stretched Canterbury, the hot favourites, all the way before conceding a three-wicket defeat off the second ball of the last over, writes Mike Vimpany. “Our club can be very proud of the team and all that we have achieved during this winter,” reflected skipper Rob Pittman after the Lord’s final. 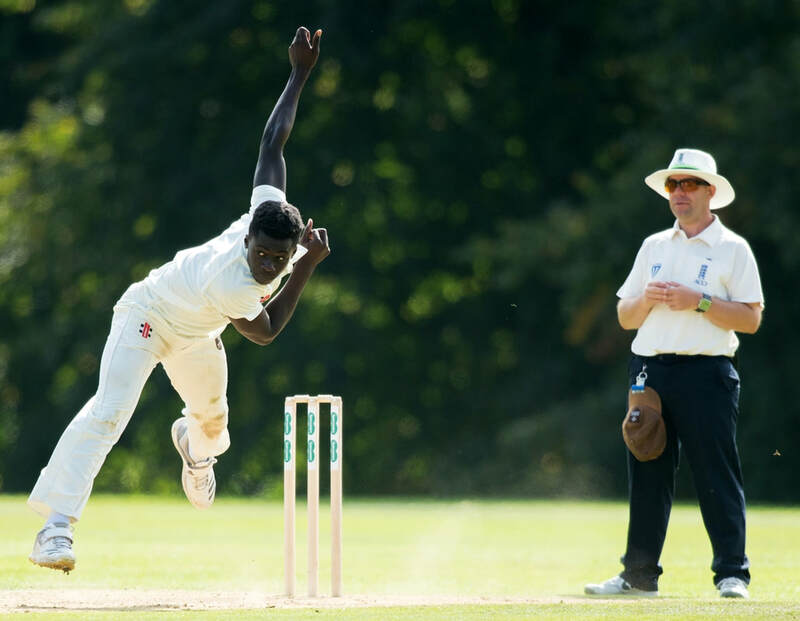 South Wilts qualified for Lord’s for the first time after winning the Wiltshire county title at Pewsey in February and then emerging victorious at the Taunton west play-offs, where they beat Cheltenham Civil Service before crushing Exeter University. Eventual winners Canterbury had already underlined their pedigree by thrashing Welshmen Neyland (103) by nine wickets before South Wilts took to the Lord’s stage in the second lunchtime semi-final. Paired against the Shrewsbury-based Grasshoppers, South Wilts promptly lost skipper Rob Pittman to a controversial low-down catch at mid-off before Tom Pearce somehow survived a run out – both in the opening over ! Tom Cowley and Tom Pearce both retired, but at 83-4 in the tenth over, South Wilts weren’t in the best shape. But a late run blast, led initially by Pearce (who went on to make 39) and then Cowley, who finished 64 not out after plundering 21 runs off the final over, saw South Wilts to a competitive 128-5. With Cowley and Pearce bowling economical mid-innings spells, Grasshoppers lost wickets all the way down the line and, but for a late blitz by Jack Edwards (47) on Will Harries (2-39), would have been pressed to make 111. South Wilts were unquestionably the underdogs going into the final – 2011 ECB winners Canterbury having skittled Wimbledon and Sparsholt for 43 and 39, respectively, in the east regional play-offs. But South Wilts made a decent fist of it, reaching 40-1 at the six-over half-way point and with everyone chipping in alongside Tom Pearce (28) posted a tidy 113, three batsmen being run out. Canterbury roared away at ten runs an over through young opening pair Isaac Dilkes (28) and Sam Burt (23) and then Stuart Drakeley, who made 27 not out. But South Wilts clawed their way back into it by taking three wickets and had they not fluffed two run out chances in the field, Canterbury’s task might have been harder. The Kent Premier League side were 87-3 off nine overs and eventually got home by thee wickets off the second ball of the last over. “I thought the final was evenly matched and a very good advert for the indoor game,” Pittman added. “The winter success definitely gives the lads a lot of confidence going into this summer’s Southern Premier League programme. Canterbury won by five wickets. South Wilts won by 17 runs. Canterbury won by three wickets. South Wilts at Lord's - Back (from left): Trevor Pittman, Tom Pearce, Rob Pittman, Will Harries. Front: Mark Burton, Tom Cowley, Sam Pittman. Tom Cowley acknowledges the standing ovation he received after completing his half-century against Grasshoppers in the ECB indoor sixes semi-final. 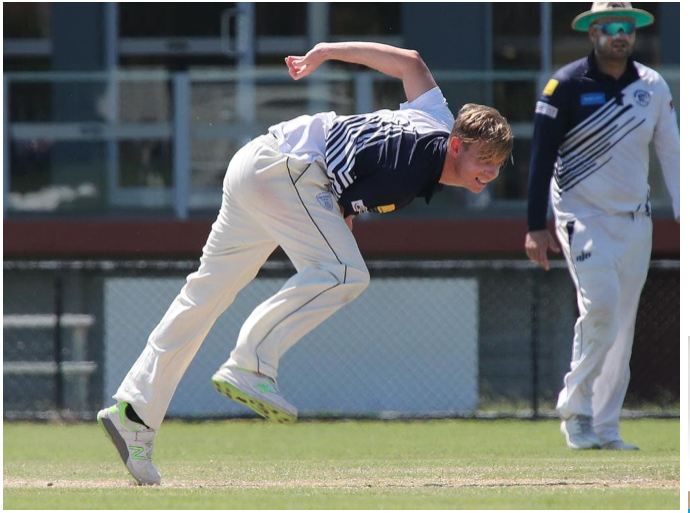 Hampshire all-rounder prospect Tom Scriven starred with bat and ball to help steer his adopted Queensland club Broadbeach Robina into next weekend's Gold Coast Kookaburra Cup Grand Final. The West Ilsley-based all-rounder hit a half-century before taking six wickets as 'The Cats' successfully defended a modest 150 to beat Burleigh (94 all out) by 56 runs and set up a GF showdown with table topping Alberton Ormeau this Saturday and Sunday. Scriven top scored with 50 before ploughing through Burleigh's top order, taking five of the first six wickets to fall and finishing with 6-37 off 25 overs, 12 of which were maidens. 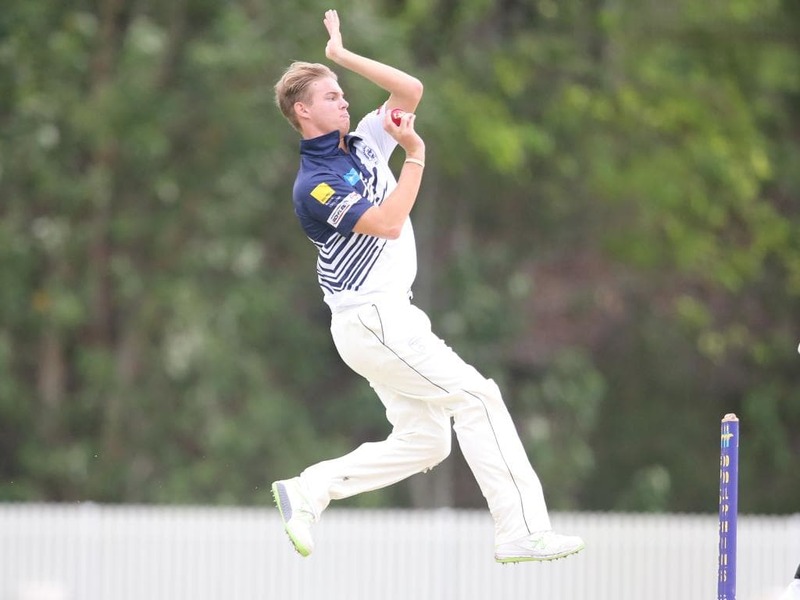 It lifted Scriven's tally for the Down Under season to 425 runs (three 50s) and 34 wickets. No wonder Broadbeach have invited him back to play again next winter ! Promoted Bournemouth have beaten the rest of the ECB Southern Premier League to the punch by organising their NatWest 'Cricket Force' day in the glorious Spring sunshine. 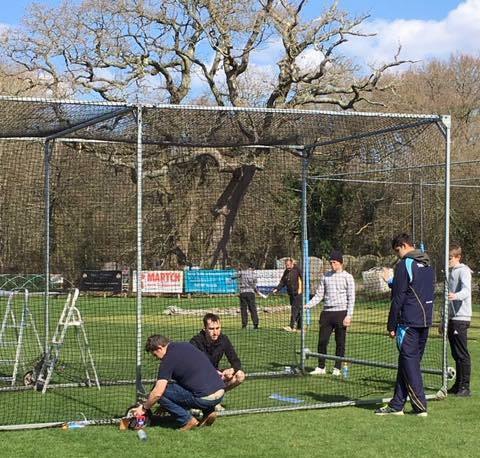 Players and officials spent Sunday preparing the Chapel Gate nets, the ground and the pavilion in readiness for the first pre-season friendly match against Oxfordshire side Horspath on Saturday April 20. 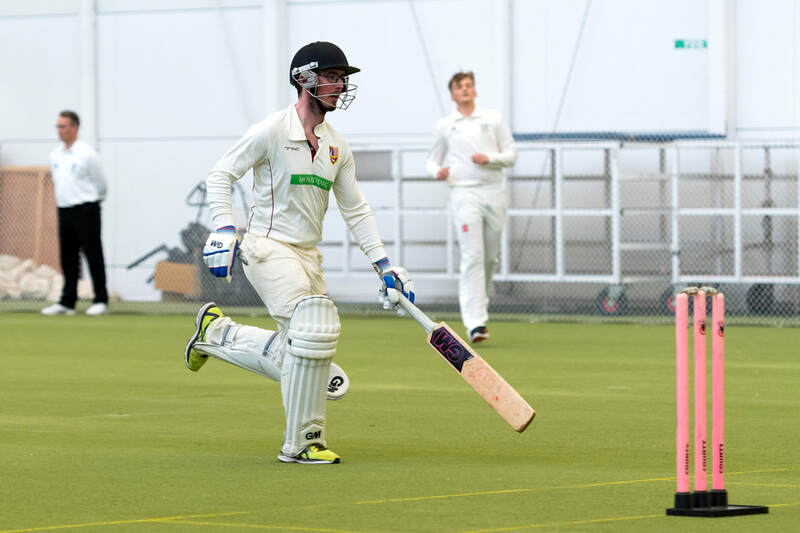 They face a weekend double on April 27/28 against North Perrott and Bournemouth University. Bournemouth's Premier Division debut comes against Basingstoke & North Hants at May's Bounty on May 4. If you’re approaching 40 years of age (or may be a bit older !) and still playing cricket on a regular basis, how does an 11-day trip to Sri Lanka in November 2019 grab you ? The Hampshire Seniors are off to the Pearl of the Orient and have some player vacancies for the trip, which takes place from 1-14 November and includes four games of cricket. The Hampshire party will stay in some of Sri Lanka’s leading hotels, with the cost of £1,950 (players) and £1,750 (supporters) including breakfast and evening meals, besides visits to an elephant sanctuary, a tea plantation and a temple. Twenty-one ‘out-grounds’ across the country are set to host county cricket this coming season, with the Isle of Wight’s ground at Newclose among six staging professional matches for the first time. Cricket is going ‘out to the people’ as 11 major venues, including the Ageas Bowl, are being used for the ICC World Cup. Grantham, Newport (Gwent), Sedburgh School, South Northumberland, Welbeck and York are among those set to benefit alongside Newclose. When Hampshire take the field against Nottinghamshire on May 20, it will be the first time the county has played ‘away’ from the Ageas Bowl since 2000, the final occasion Basingstoke & North Hants’ picturesque ground at May’s Bounty was used. Ironically, Hampshire’s away match against the Outlaws will also be played on a club ‘out-ground’ with Welbeck Colliery, near Mansfield, hosting the 4-day County Championship match in June. 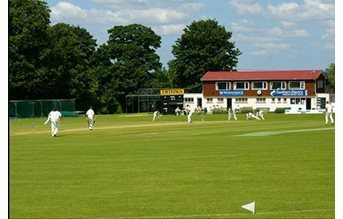 Nottinghamshire will also play a Royal London Cup match – in Lincolnshire - at Grantham, against Durham in early May. Newport (South Wales) is one of three club grounds Glamorgan will use in Division 2, with the Welshmen making their annual visit to the Colwyn Bay seaside in August, besides Swansea’s famous St Helen’s, where Sir Garfield Sobers (playing for Nottinghamshire) famously struck Malcolm Nash for the perfect six successive sixes in 1968. Lancashire’s match against Durham on June 30 almost has a ‘neutral ground’ feel about it with Sedburgh School set amongst the beautiful rolling hills of Cumbria. Sedburgh got the nod over Southport, whose facilities, by all accounts, weren’t deemed good enough to host a county game in 2019. The powerful ECB North-East Premier League club South Northumberland will host Durham’s home match against Lancashire in late April, while York’s stunning ground at Clifton Park is, like Newclose, buzzing with anticipation ahead of Yorkshire’s match against Warwickshire in mid-June. Yorkshire also have two matches at Scarborough, with Kent continuing to use Beckenham and Tunbridge Wells. With four venues away from Lord’s, Middlesex play the most county games on ‘out-grounds’, with Merchant Taylor’s School, Radlett, Richmond, and Uxbridge on the ‘tube timetable’ list for their regular supporters. Sussex, following the success of last season’s RLC match at Eastbourne, will return to The Saffrons, besides playing two county championship matches at Arundel. Surrey play twice this summer at Guildford, while Liverpool gets its annual visit from Lancashire. 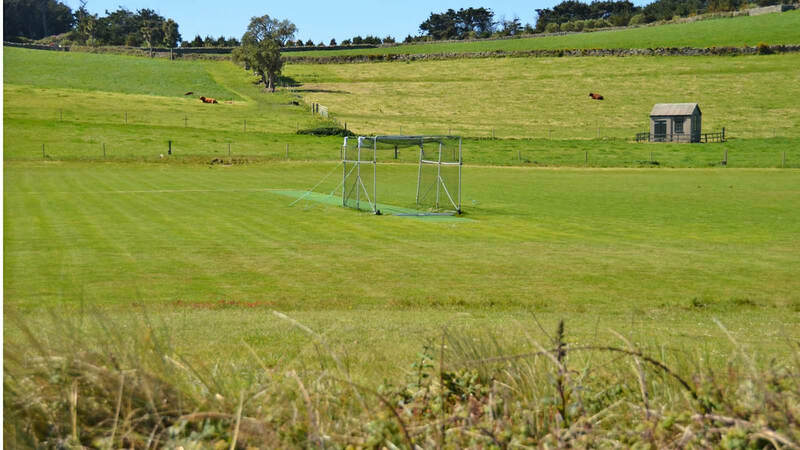 With a total of 21 ‘out-grounds’ being used, it all adds up to a fascinating summer ahead for the nomadic cricket supporter tribes, who will relish so many new venues to visit. Newclose on the Isle of Wight, is top of the ‘wish list’ for many followers, with Hampshire’s ticket office handling numerous enquiries two months ahead of Nottinghamshire’s visit there on May 20. It will be the first time county cricket has been played on the Isle of Wight since 1962, a mere 57 summers ago ! 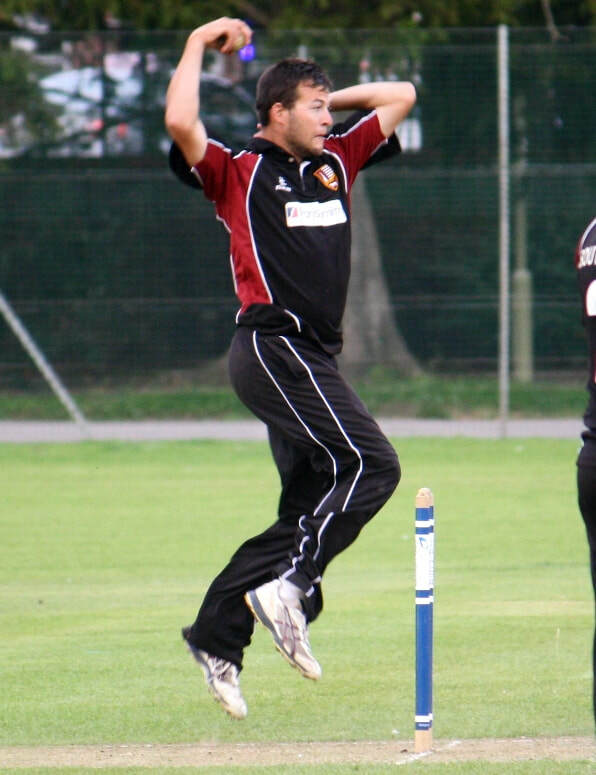 Long term seam bowling Basingstoke & North Hants all-rounder Martyn James is poised to cross the Great Divide and join Hook & Newnham Basics this coming season. 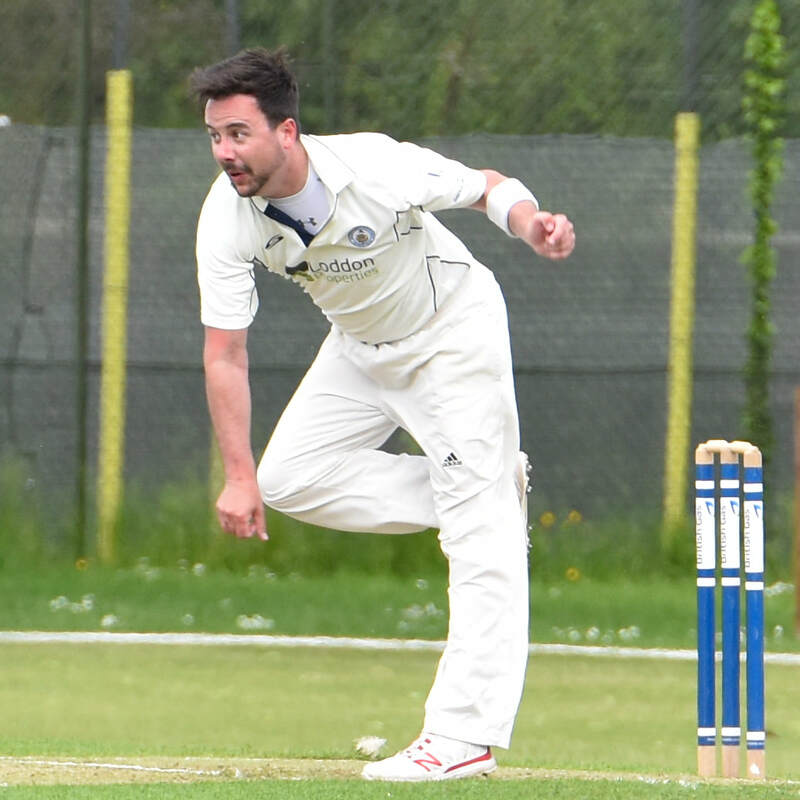 The 31-year old has been part of the first team fabric at May’s Bounty for the past 12 seasons, taking over 500 wickets in competitive cricket, a large chunk of them during Basingstoke’s time in the Homes Counties Premier League/Thames Valley leagues. Explaining his decision to switch clubs, James said: “I joined Basingstoke as a seven-year old and probably since I was 19-20 years of age have opened the bowling for them in first team cricket. “It’s been a long and largely enjoyable time, but I feel as though I want a change and Hook is a club that I have always thought of going over to and I made the decision to move this winter. “I accept I’ll be dropping down a division in the Southern Premier League, but there are a lot of promising young players at Hook and I hope to be able to pass on my experience and knowledge to them. “To my mind, Hook is certainly not far from a team that could succeed in the Premier Division and I hope to see what we can do this year. “It was a very difficult decision to make and who is to say I won’t go back (to Basingstoke) in years to come. The arrival of Martyn James is a significant boost to Hook & Newnham Basics, who underlined their potential by winning the Southern Premier League’s T20 knockout in spectacular fashion at the end of last season. Ironically, Ben Thane moved in the opposite direction 12 months ago and was Basingstoke’s Player of the Year last season. Since his appointment as captain, Josh Buckingham has put massive emphasis on player fitness and midweek training sessions at Dummer have been tuned accordingly. “Turn outs have been very encouraging. The sessions have been hard, but fun and hopefully everyone will enjoy the benefits,” enthused Vince Gardner, Hook’s new Director of Cricket. South Coast Panel official Dean Daniels has been promoted to the ECB’s National Umpires Panel, which means he (and Paul Sparshott) will be able to umpire Second XI Championship and Minor Counties matches this summer, alongside weekly ‘bread and butter’ Southern Premier League cricket. An A* umpire, the Poole-based Daniels will begin his seventh season on the SCP this season, his ECB grading having progressed from C4 to C1. He umpired last season’s ECB T20 regional finals at Horsham and was appointed to officiate the Specsavers ECB U17 County Championship Final at Arundel between Surrey & Yorkshire.